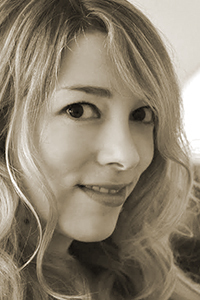 Sarah Crossland’s work has been published or is forthcoming in Narrative, TriQuarterly, A Public Space, and Crazyhorse, among others. She has received a 2012 Boston Review Poetry Prize, a 2013 AWP Intro Journals Award, and the 2013 Pablo Neruda Prize for Poetry from Nimrod. Crossland works as a freelance writer and editor, and serves as production editor of Devil’s Lake.